We found a series of fantastic Art Deco lights coming from the depression era of America Circa 1936. We have catalog references for them showing some very unique designs and so we re-created "The Manhattan Line" consisting of two chandeliers and a sconce 365-ZN-ES . Made from zinc by the Lost Wax casting method (also used for jewelry and bronze artwork). 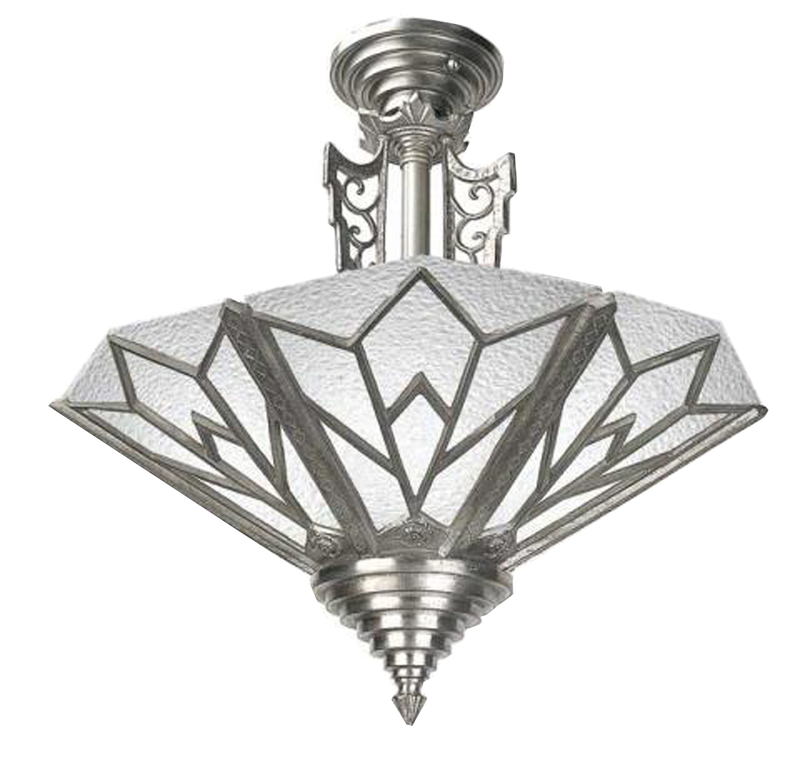 Zinc was the exact same material with which the Art Deco originals were cast. The metal appears a brushed nickel or pewter tone. We also sourced unique Art Deco style glass for these in both frosted finish or amber tinted.